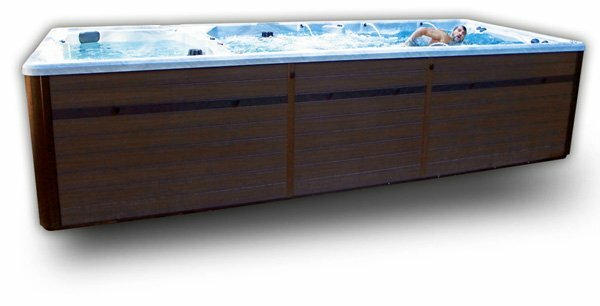 36 hydrotherapy stainless Reflections Jets™. Full body massage columns, reclining and sculpted seats with shoulder, upper and lower back, hips, calves and feet jetting. With the touch of a button, 6 Synergy Pro™ jets quietly, and fully adjustable, offer a fitness stream for a rewarding water workout. With the included AquaCross™ tether trainer, swim, run, or jog. You choose the best routine for you and your goals. After your fitness session, relax those tired muscles with 36 hydrotherapy jets, soothing the entire body.